FitBody Fifty: Losing weight for dummies. Er....make that complete idiots. Losing weight for dummies. Er....make that complete idiots. Training? Mostly cardio - apart from 2 Body Pump classes per week. Food? Carbs, carbs, carbs, and more carbs. There was some protein in lunch and dinner, but I bet it wasn't much. *sigh* thinks I, When are women going to get it? THEN....something else added fuel to the fire. I spotted a new protein bar at the supermarket yesterday. Nature's Way Slim Right - choc-almond or something. The numbers in the nutrition panel looked pretty good, so I grabbed one. This morning I tried it and.... ugh! Artificial flavour. Bleuch! Won't be buying those again. Pasta, Bread, Potatoes, Noodles, Rice, Cereals, Cakes, Biscuits, Fast Food, Pies, Pastries, Crackers, Crispbreads, Rice Cakes, Corn Thins, Potato Crisps, Corn Chips, Sweets, Chocolate and Alcohol. Hmm, Really? Apparently I've been doing it completely wrong all this time. I read further and discover that a recommended lunch or dinner choice includes 1 small handful of Pistachios with Salad or 2oz Low-Fat Cottage Cheese with Salad. And I can't find any reference to exercise. Probably no point complaining to the company either. I've done that and got a sermon (not from that company) of what I would consider utter, utter drivel. You might as well just shrug your shoulders and move on. I completely understand your frustrations Kek!! I gave up trying to talk people around to our way of thinking a while back. One of my friends lost 6 kg before her wedding eating like this - and then promptly put it all back on again plus some straight after the wedding. 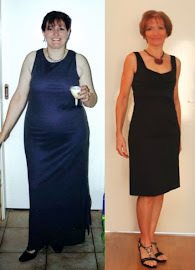 eating nothing and on her 'exercise bike' for an hour every day - and all for nothing! I thought more highly of WH&F than that - I really wish they wouldn't perpetuate that magic bullet myth. I think that the first issue of Aus women's Health was the only decent one-the rest have been crap. Gee-and to think I eat pasta and bread just about every day-do you think it's hurt me? I just tried those slim-rights this week too! total crap-only had about 2 bites-yeuck! I'm with you...when will these (hmmm-morons, idiots, fools-you pick) get it?! Ok.. mmm. I hate to break the mood of your post, but..
Jase knows that you and I have a similar attitude to food and to housework. His brilliant insight to all your married years was something like 'the man is a saint'.. I dont' know.. he was mumbling a little. It's a big achievement to stay married and in love. In NZ, the latest statistic is 50% failure rate for marriage.